Videos of Michele Payn | Michele Payn, Cause Matters Corp. Experience her knowledge, passion, and humor firsthand at your next event. How do we engage a food consumer differently in engaging them in a conversation about agriculture? RaboBank executive shares how professional speaker and author Michele Payn engages audiences around critical food and agricultural issues. In this age of open information, engaging with consumers is more important than ever before. Communication can help solve challenges facing modern farmers. Watch food and farm experts talk with Michele on Facebook Lives around the U. S. and Canada. Iowa farm family Justin & Jennifer Dammann discuss how they make choices, raising corn for tortillas and sustainability. Discussing tactics to help today's farmers and consumers understand food production from differing points of view. A book written to translate the science of agriculture and the science of food through story. The author of "No More Food Fights," spoke to the 2015 MFA Annual meeting crowd about the importance of defending agriculture by keeping the discussion going and sincerely telling your story. 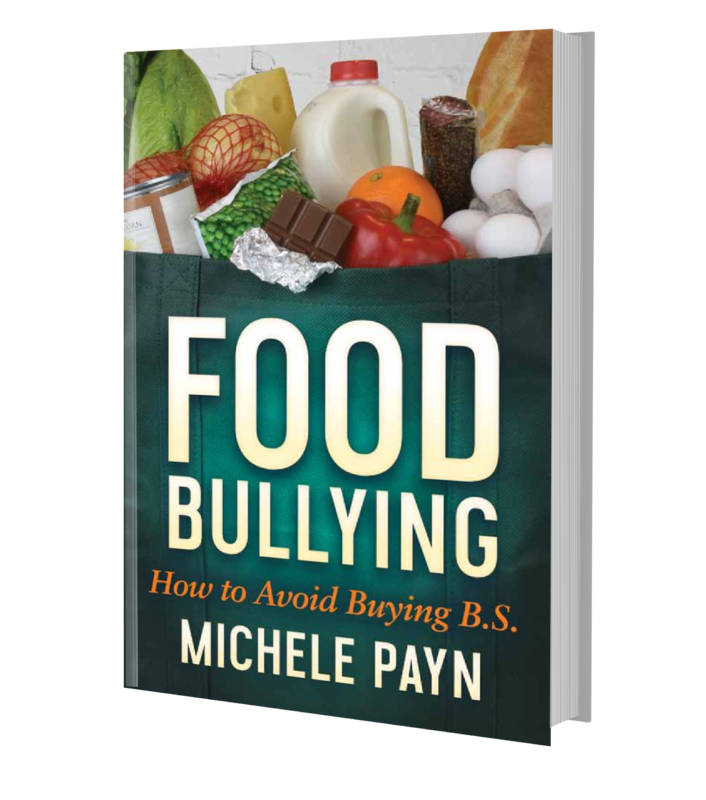 How keynote speaker and author Michele Payn helps women in agriculture understand tools to have a conversation about food issues such as GMOs, organic, antibiotics, sustainability and animal welfare. A meeting planner offers insight on how Michele equips people to change farming and ranching perceptions. A rural urban conversation around today's farming practices, interests of foodies - and the results generated from breaking bread together, with Michele facilitating. 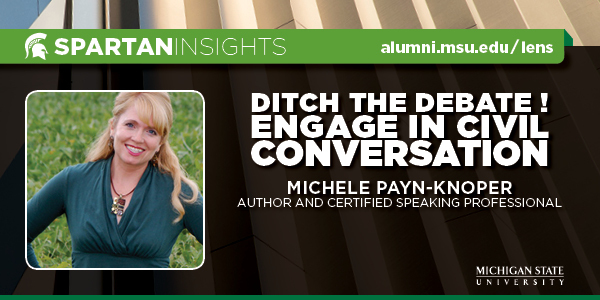 MSU Alumni "Ditch the Debate: Engage in a Civil Conversation"
Listen in to a webinar Michele conducted for the MSU Alumni Association on engaging in a civil conversation, citing examples from the food and farming debate. At AgStar's GroundBreakers Conference, Michele Payn shared her insights on how everyone in ag can be an agvocate. She provided lots of practical tips and practical advice to get anyone started in social media and begin participating in the global discussion. Debra Murphy, Cami Ryan and Michelle Payn discuss why communication in ag is so important. Brief video tease for Insight on Business. Michele talks about her new book No More Food Fights - Growing a Productive Farm & Food Conversation. Across the Fence is the longest-running locally-produced program in the US. We have been on-air on WCAX-TV since 1955! Across the Fence is produced by the University of Vermont Extension. Visit their website. Dietitians and farmers can create powerful partnerships by sharing what they have in common -- a desire to make science-based decisions about food. Here Michele explains how we can execute Step 3 from her book, No More Food Fights! Growing a Productive Farm. Michele Payn shares her 12 tips (one for each month) on where (and how) to share your agriculture story this year.